Ever wondered what it might be like to be a mail order bride? Or the groom, already married to a woman he's never laid eyes on? 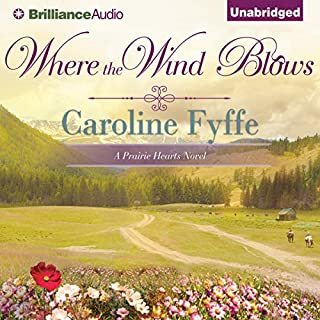 On the Canadian prairies in 1886, having a mail order romance wasn't unusual. Noah Ferguson desperately needed help on his farm. Annie Tompkins knew she couldn't go on working in Lazenby's cotton mill. So she'd been a little less than honest in her letters, was that really so terrible? It was unforgivable, Noah fumed. He'd wanted an older widow, and Annie was a young virgin. But even that wasn't the full extent of her lies. Problem is, Noah hasn't exactly been straight with Annie, either, and his secret has the power to break Annie's heart. Can even a special Christmas gift make their marriage work? I got this book from audiobook boom. This was a quick fully developed love story. with all of the full meaning of the words. There was trepidation, angst, death, new life, lost and a strong snow storm as well as the love of a set of sisters for each other that extended to an old man who had lost his ability to speak but learned what it was to continue to love because of the sign language that the deft sister taught him. I loved the ending. The narration was very well done and brought the story alive. Noah is a widower who lost his wife, 18 month old son and father had a stroke. He gets a mail order bride to be a helpmate, not to love. He is a good but stubborn man. Noah's ad. They are married by proxy but upon meeting discover each has kept secrets. Annie comes to care. for Nash and he fights his growing feelings for Annie feeling disloyal to his first wife. Liking both Noah and Annie you anxiously wait to see what happens between them. A sweet story taking place when life is hard. I enjoyed the story and the narration and would happily listen to more! Annie's attempts at making bread, it added a lovely element of humor which balanced really well with the challenging dynamic between her and Noah. What does Melanie Hastings bring to the story that you wouldn’t experience if you just read the book? Excellent characters voices that brought the story to life. I enjoyed the narration it flowed really well. I would have if my commute to work was longer, I had for make myself pause it when I arrived since I would have preferred to finish the book. This story is short but it covers a whole range of emotions, its funny, sweet, a little sad in parts and has a lovely ending. Note: I was voluntarily provided this review copy audiobook at no charge by the author, publisher and/or narrator in return for an honest review. This book was enjoyable and lovely to read. 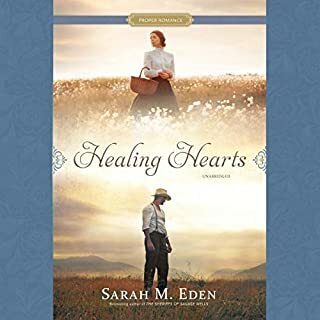 A love story about wounded hearts in the old west. The narrator's voice is clear, serene and pleasant which added enjoyment to this interesting novel. This was a really sweet story. I loved the quaint homey feel it had to it. Even though Noah and Annie get off to a rocky start I liked how they didn't just give up like people do now. Melaine did a wonderful job narrating. Her sweet soft voice fit this story perfectly. 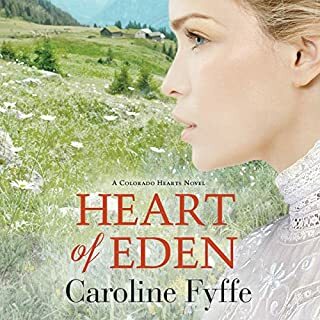 Yes, recommended for any one who likes historical fiction and clean romance. Bets, the sister who overcomes her disabilities and becomes a major part of the family. I liked when Noah finally realizes what he has and starts walking back to his family. Triumph over life in the wilderness. I enjoyed Melanie Hastings voicing of this book. Her characters were distinct and very real. 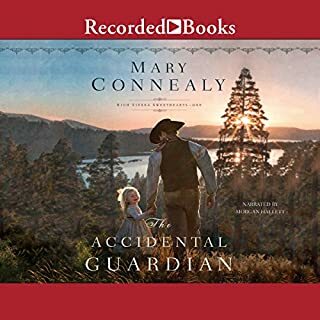 I received this audiobook for free from the author or narrator for an honest review. Canadian Widower needs a family to meet his physical needs but feels he can't betray his dead Wife by loving and being loved again. He marries by proxies and finds a new life comes with adjustments. A new life comes out of his grief and brings great joy. Entertaining, engaging and enjoyable. Just a good well told story. A mail order bride in the Canadian prairie wilderness. 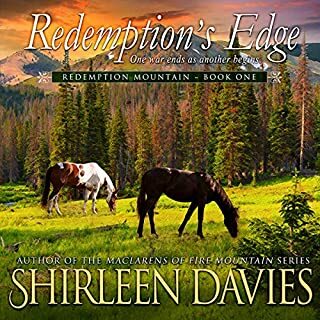 Noah gets a little more than wanted/bargained for when Annie Tompkins answers his ad for a mail order bride. Romance, death, heartbreak, forgiveness, hope, friendship and more is woven into this story. It carries you through just about every emotion you can imagine. For a short story there is a lot packed into it, none of it feels rushed and it flows smoothly. Great cast of characters. Loved the connection that Betts and Noah's father have. Really liked that Annie was a strong character. Melanie Hastings did a good job with the narration. Pleasant voice. Clearly spoken. Nice even pace. Good character voices. 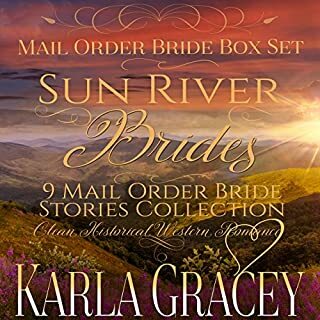 "Ever wondered what it might be like to be a mail order bride? Or the groom, already married to a woman he’s never laid eyes on? 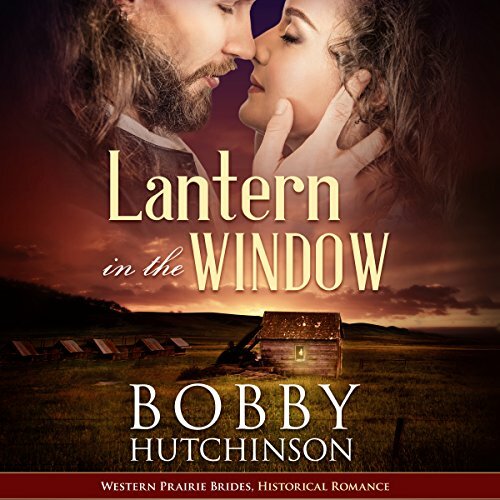 On the Canadian prairies in 1886, having a mail order romance wasn’t unusual. Noah Ferguson desperately needed help on his farm. Annie Tompkins knew she couldn’t go on working in Lazenby’s cotton mill. So she’d been a little less than honest in her letters, was that really so terrible? It was unforgivable, Noah fumed. He’d wanted an older widow, and Annie was a young virgin. But even that wasn’t the full extent of her lies. Can even a special Christmas gift make their marriage work?" This novella was a great quick listen and a very sweet romance. Annie and Noah come together under a contract of mail order bride, with Noah refusing to ever love again after losing his first wife. Noah and Annie were both likable, but it was Bets and Noah's father that made me really enjoy this book. Though the story is short and quick it was an enjoyable listen. My only complaint would be the portrayal of Bets by the narrator. She fashioned her voice to portray a deaf individual, which Bets is, but I felt this addition was unnecessary to the narration. I was gifted this audio book by the author in exchange for an honest, unbiased review.